Training SEALs on Coronado Island. If this is the view from your window, you are not allowed to complain about anything, ever. 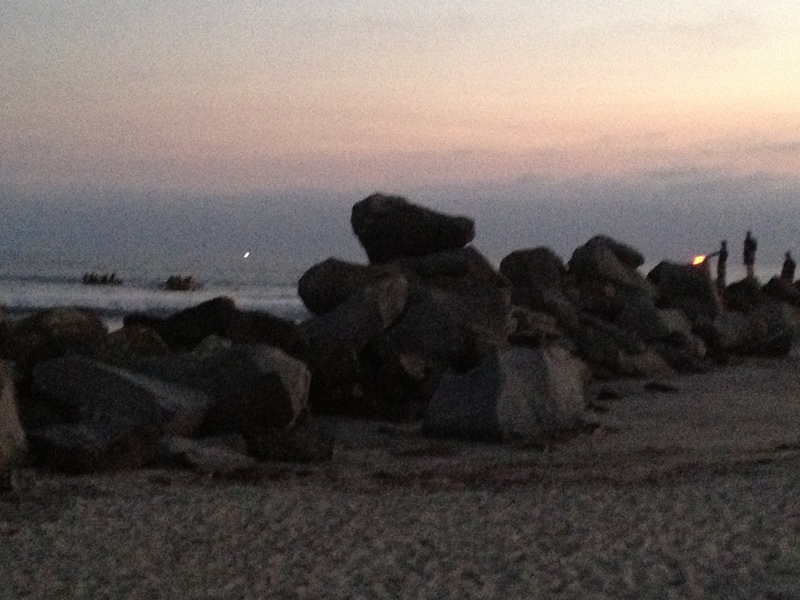 For those of you who haven’t heard, we recently stayed on Coronado Island for vacation. A fun fact about Coronado is that it is home to a Naval Base which hosts Navy SEAL training. This is certainly more interesting than the fact that Orville Redenbacher died on the island, which is equally true. After a little research, I found SEAL is an acronym for “Sea Air and Land” teams which confused me, because the correct acronym should be the SALs. This is possibly not be the vibe they want to put out, hence the Navy’s liberal interpretation of acronym rules. Regardless, Navy SEAL training is notoriously brutal, with something like a 90% “wash out” rate. Sounds pleasant. During our stay we rented bikes, because we pride ourselves on being an active family, and pedaled around the island. As an aside, the bike rental company had an incredibly clever name, our hotel is known as “The Del,” and the bike rental was called “peDels.” Brilliant, right? OK, so they took a little liberty with the spelling of pedal, but its cute. If only all parks could be so scenic, the world would be a better place. So, as we bike around the island we come to this beautiful park. What makes this particular place extra scenic were the gorgeous physical specimens jogging around the park, shirtless and sweaty in all their 3% total body fat glory. 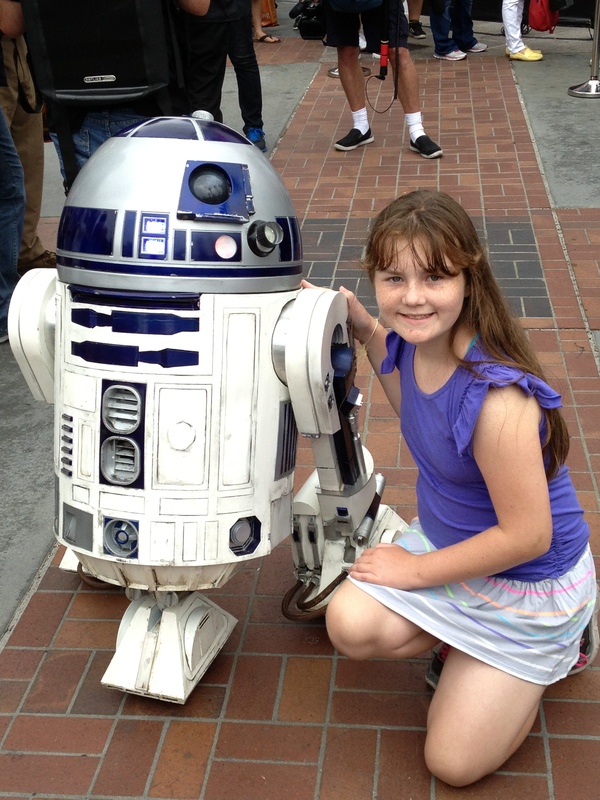 My goodness, even my 10-year-old daughter immediately realized these are not the normal humans we are accustomed to seeing in our world. Even the fittest amongst us do not come close to the degree of physical perfection these guys have attained. For this, I salute them and thank them for their contribution to my vacation. Later that evening we were sitting at a restaurant when we noticed some people stringing yellow scene tape, cordoning off a section of beach around some big rocks. We asked our waitress what was going on, she told us there was an injured seal washed up on the beach. Turns out she was totally making this up. Don’t drop the boat, wouldn’t want it to get wet. 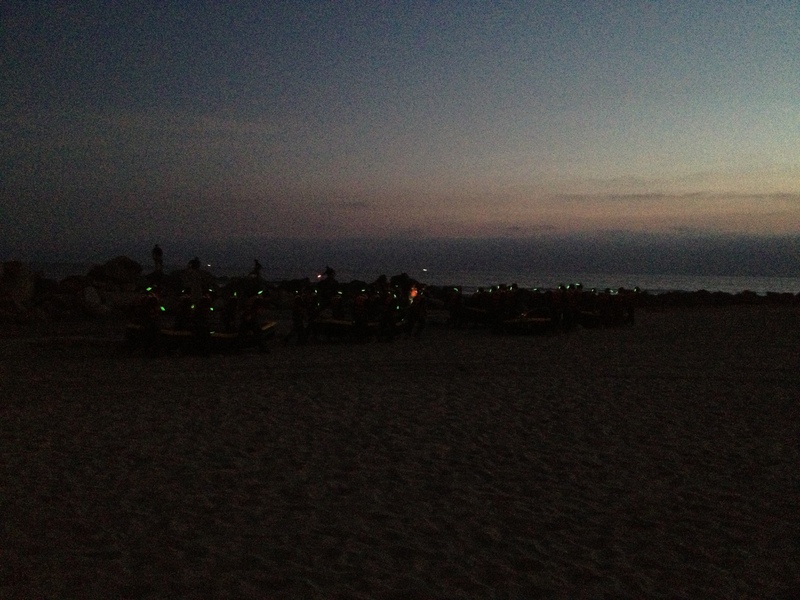 In reality, they were setting up for nocturnal SEAL training. 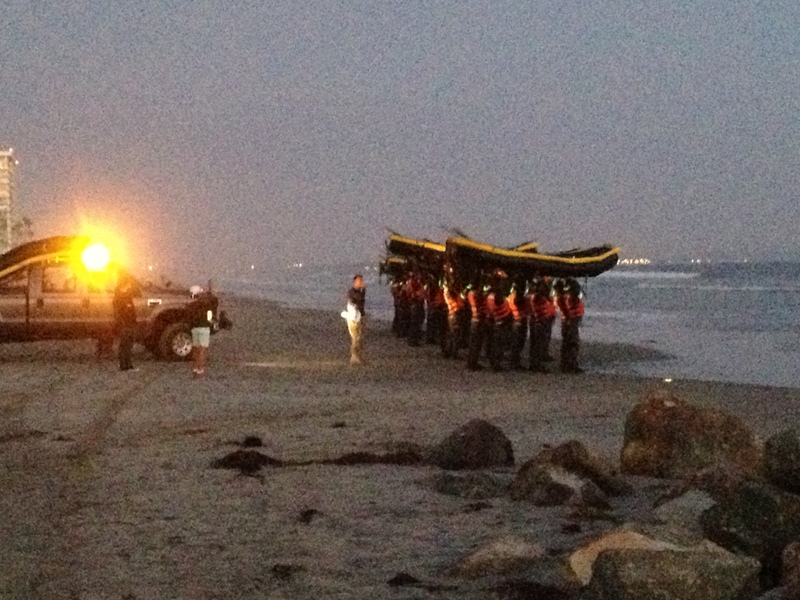 As darkness settled in, rubber boat loads of cadets paddled onto shore. Once they landed, they did a variety of pointless, but really difficult, exercises like lunges with the boat held over their heads, push ups with their feet up on said boat, the kind of stuff I rebel against, which is why this whole boot camp exercise trend will have to carry on without me. After they finished, they came to our side of the rocks where some guy on a bull horn yelled instructions at them. At one point he made them run into the water, (have I mentioned how cold the ocean is), roll around and then run back, it was kind of weird. He warned them that if they did not complete these tasks perfectly, they would be “recycled back to Instructor Wilkowski” who must be a real tool, because nobody seemed to want that to happen. We found out why Instructor Wilkowski was to be avoided. He was the guy that made them climb over the huge, slippery rocks, in the dark, with their boat held over their head. Gads! The whole thing was exhausting to watch, which is why we left and went for ice cream. We did have the decency not to eat it in front of the SEAL trainees. Frankly, I was afraid Instructor Wilkowski might see us and take our cones. This is what a night landing looks like. Is that a cheetah? 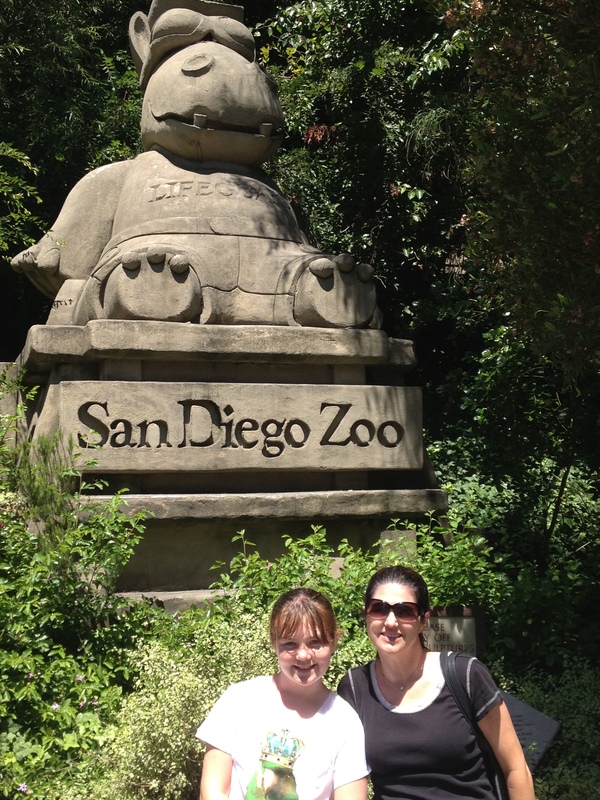 Adventures at the San Diego Zoo. A hippo lifeguard, seriously? Are they familiar with the video of the hippo attacking that guy on the Amazon? In my ongoing series about our recent vacation in San Diego, I would be remiss if I did not cover our trip to the San Diego Zoo. 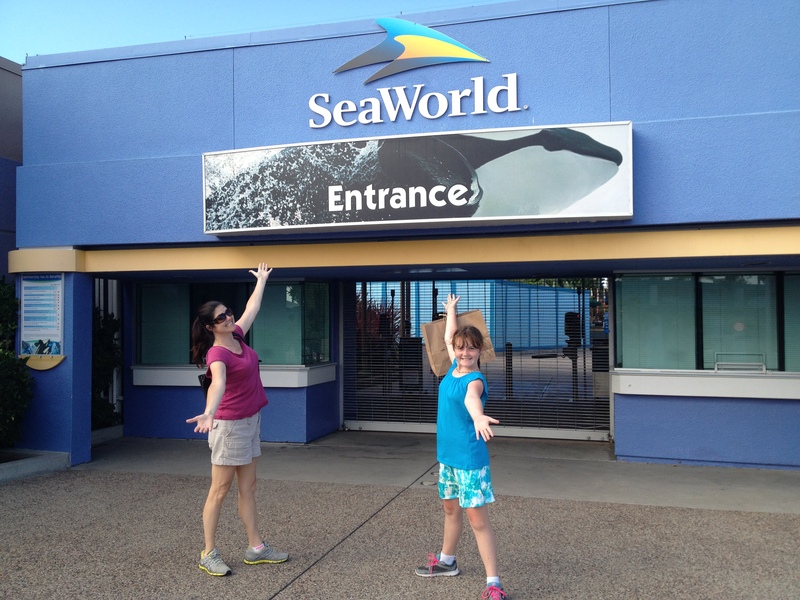 Clearly, the reputation as one of the world’s best zoos is well deserved, this is place is phenomenal. We have a really good zoo in Toledo, Lil Mayhem practically lives there in the summer because they offer camps for kids and I think she has attended them all. In fact, she is designing new zoo habitats at this very moment. The number one attraction for us at San Diego was the panda exhibit, but I approached the Panda Trek with some trepidation, Toledo hosted the pandas from the National Zoo a few years back, they were a really big deal. 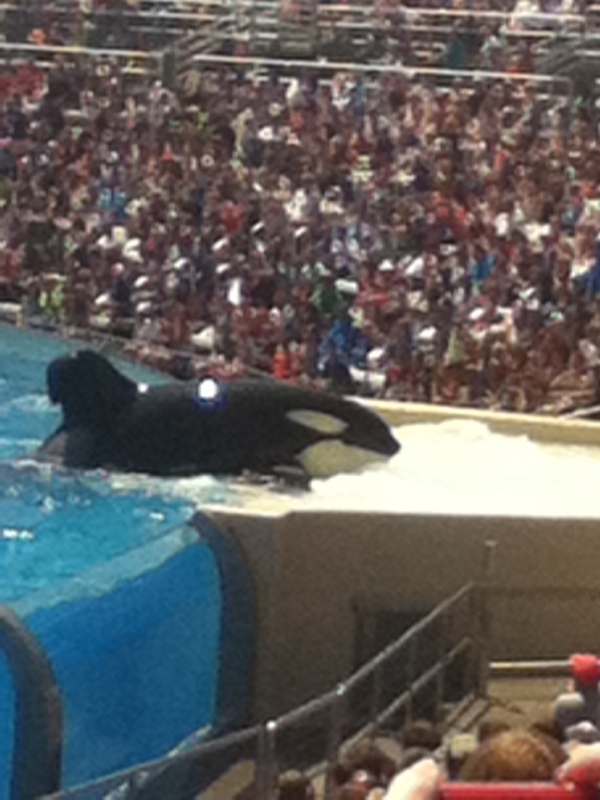 The day I went the line was ridiculous, but I patiently waited to see these rare creatures. The line moved surprisingly fast, when I got to the front I realized why. The panda had been asleep in the far back corner of the exhibit for hours, so basically I saw an immobile spot of black and white fur. 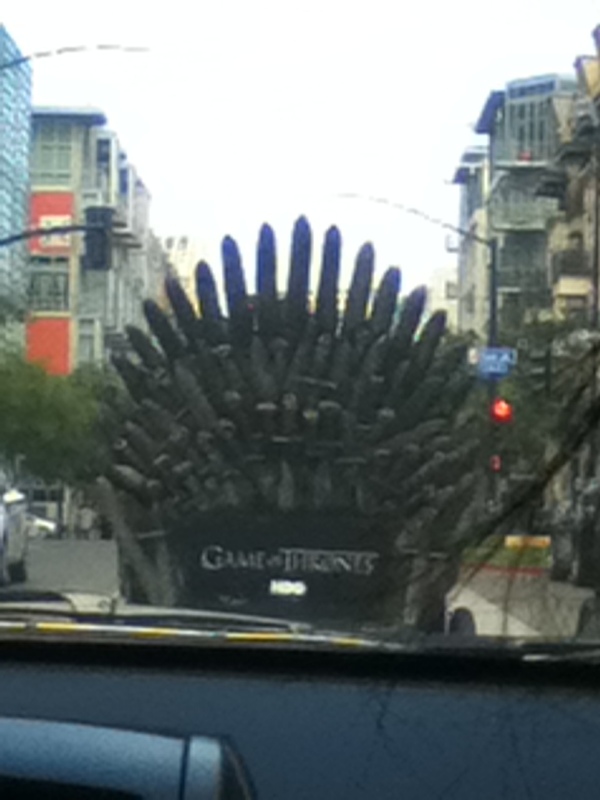 The experience was not unlike driving past a dead skunk. Needless to say, I was a bit underwhelmed. 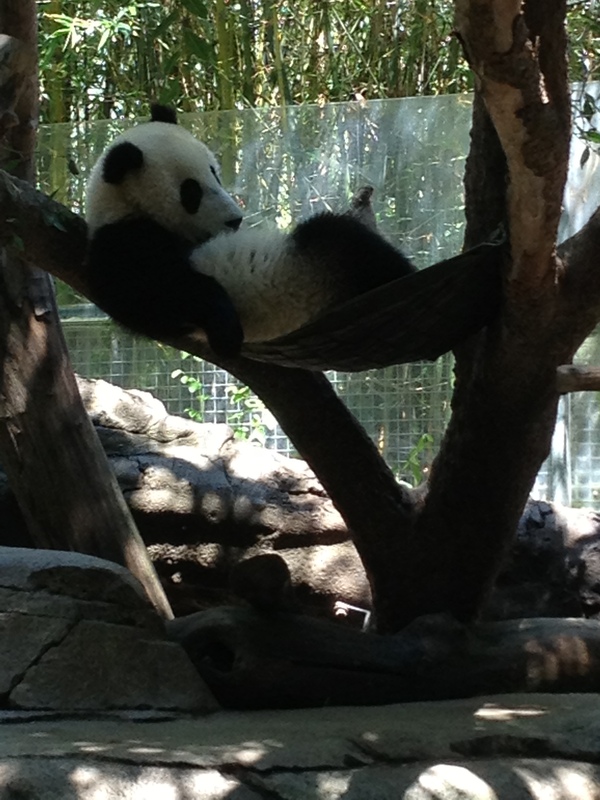 The San Diego pandas were amazing. The exhibit allowed you to get really close, they had three different sections so the line moved along, there were a lot of bears and they were very active. But the cherry on top was the baby panda, he was adorable. Now this is what a panda experience should be. 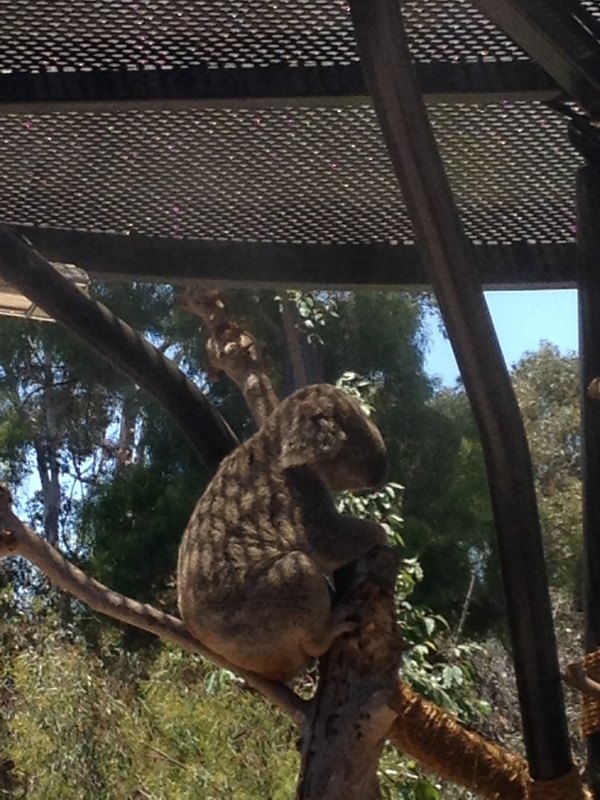 They also have a huge koala exhibit called Koalafornia. It was right across from the giraffe exhibit which we exited quickly as one of the male giraffes was feeling particularly randy and I felt at any minute it could turn into a scene I would prefer my kid not see. So, thank God for the koalas! Fun fact, koalas are members of the suborder, Vombatiformes, sounds violent, perhaps the reason they keep them sedated. Finally, our favorite story comes not from the animals, but the people on display that day. When we arrived at the park they were doing a demonstration featuring a real live Cheetah. They gave all kinds of interesting facts about the Cheetah and described how the Cheetah hunted and why the Cheetah is endangered. After the demonstration the women asked if there were any questions. This kid raises his hand and honestly asked the following “Is that a Cheetah?” This, of course, became our catch phrase for the day, because even my 10-year-old immediately recognized the comedy gold in that one. Is this really such a frequent occurence that it necessitates a permanent sign? Going to the park, California syle. 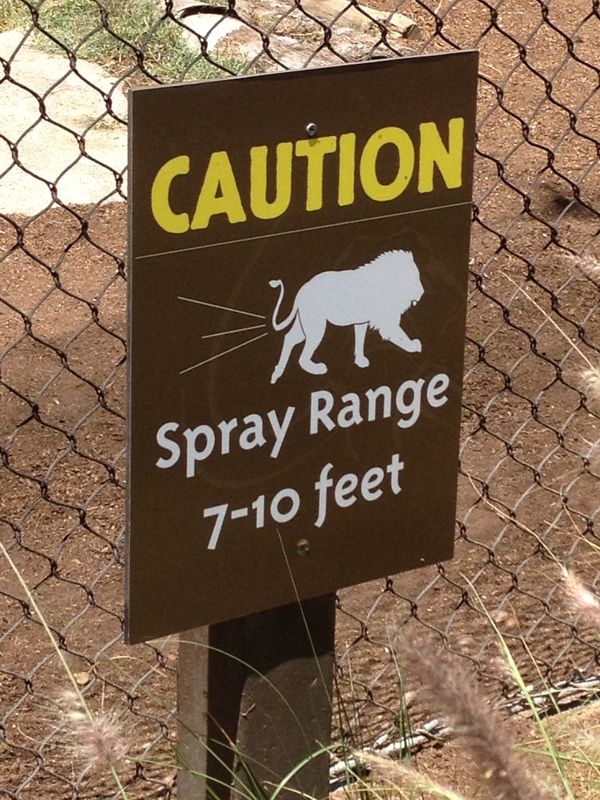 This is not something you are likely to see in the Toledo-Lucas County Metropark System. Now, we have a great metro-park system where we live, and I am no stranger to them. They all have nice woods with paths for walking and biking. You will also find the occasional bench with a vaguely scenic view, and a few boardwalks which meander next to a creek. 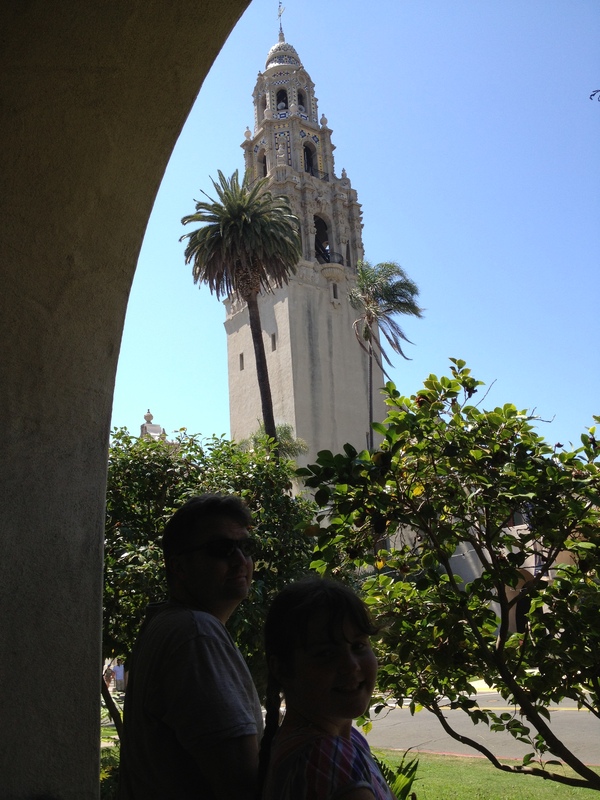 But nothing in my park going experience could prepare me for Balboa Park in San Diego. I can only presume this is what Shangri-La is like. The day we were there was the last day of the LGBT festival, so I am not sure if the other park-goers are always so flamboyantly festooned in costume and fancy dress, but I choose to believe that they are. 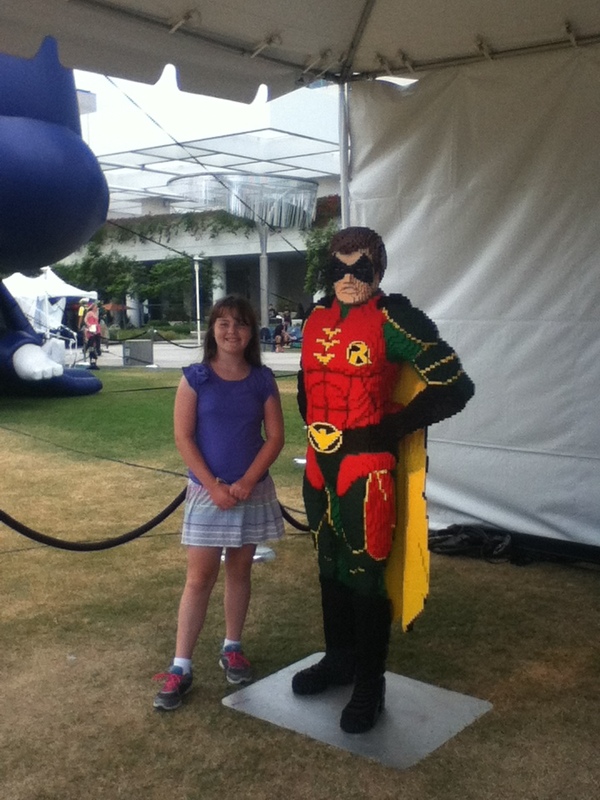 Given that we indirectly attended both the LGBT festival and Comic Con in the same week, I am inclined to believe that in San Diego cosplay is an everyday thing. This may not be true, but it makes my vacation more memorable and therefore, I elect to perpetuate this legend. Having never been to Shangri-La, I can’t be sure, but expect it looks similar to this. 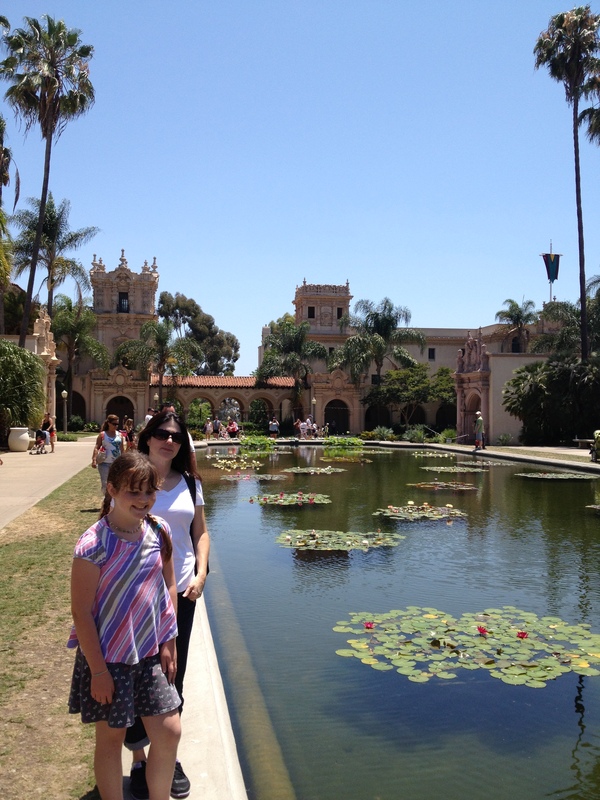 Balboa Park is more that just a park, there are museums, botanical gardens, fountains and trails. There is a huge Botanical Building, full of plants and fish ponds and all manner of flora. There are gardens galore; cactus, Australian, Japanese and a seriously impressive rose garden that makes you re-think why you are trying to grow them in Ohio. My favorite place was the Prado restaurant, I think it may have been my favorite meal of the whole week. This could be because we had just come from the airport and it had been almost 8 hours since I had eaten and I was ready to chew off my own arm, but in truth the food was really good and the setting was beautiful. In Ohio, if something is served, “California style,” it is code for “with avocado”, well I can confirm that it is true, almost everything in California is served with avocadoes, but they just call it food. 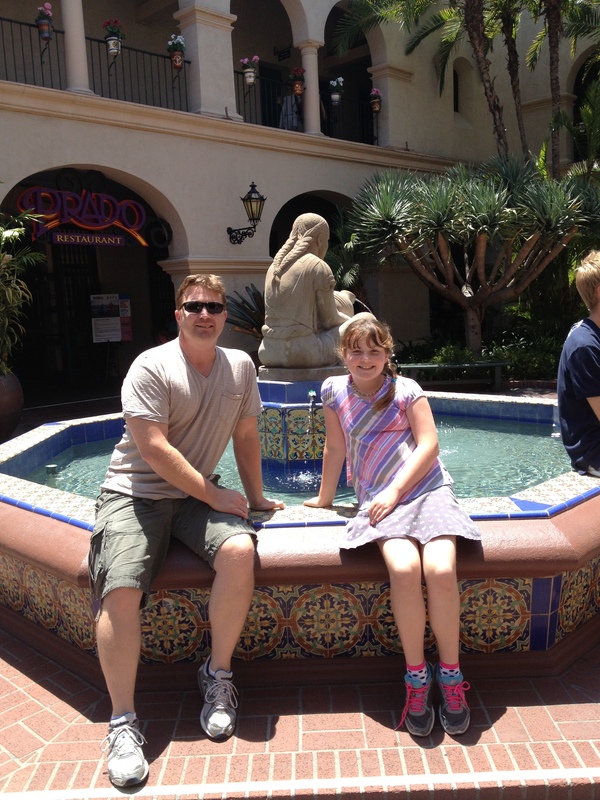 Mr. Mayhem and Lil’ Mayhem at the Prado restaurant in Balboa Park, food and fountains, both California Style.